We’ve just rolled out a major update: a crawler that registers the on-page changes for all the tracked keywords’ landing pages, on a daily basis. 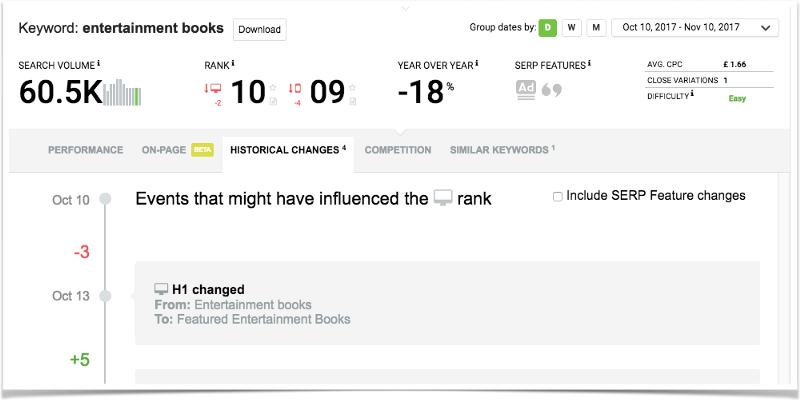 These content changes are added to the keyword events timeline, when Google indexes the landing page’s latest version, along with landing page switches, Google algorithm updates, HTTPS migrations and automatically detected new backlinks. Adding this final layer means we’re now tracking all of the events that might have influenced the rank of a keyword. This takes us one step further towards our goal of helping our users correlate events with rank changes and better understand what’s behind their websites’ Visibility fluctuations. 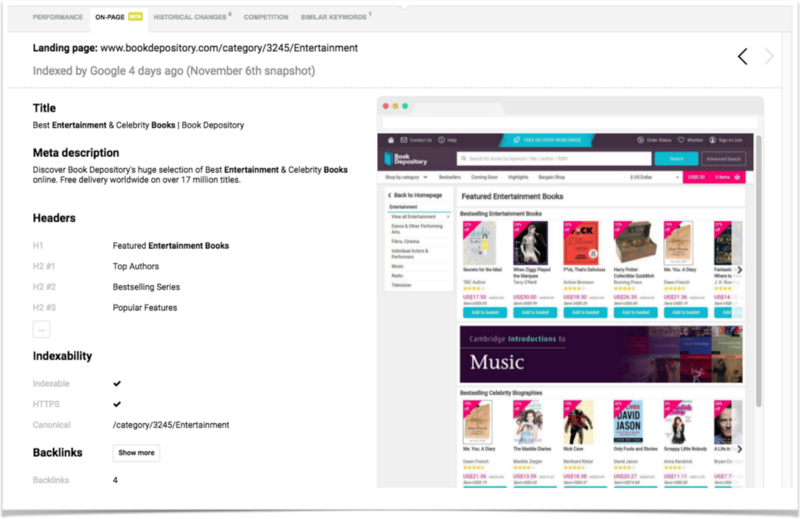 In the newly added On-page tab, we provide the essential data like: title, description, H1–3, canonical URL, backlinks, social signals and even a snapshot of the page: We also store a history of the previously indexed versions of the landing page. This allows you to compare them (including the full html version) and analyze their performance over time. This is only the start of the newly added data layer, so we’ll continue to improve it, based on your feedback and further requests.